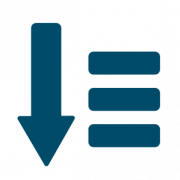 The wordlist tool is used to generate frequency lists of all kinds: lists of words, lemmas, nouns, verbs, tags, words containing or not containing certain characters etc. Complex filtering criteria are available via the advanced tab and the regular expression option. Log in and select a corpus from which the list should be generated. Leave the settings at the default values to generate the list of the most frequent word forms. 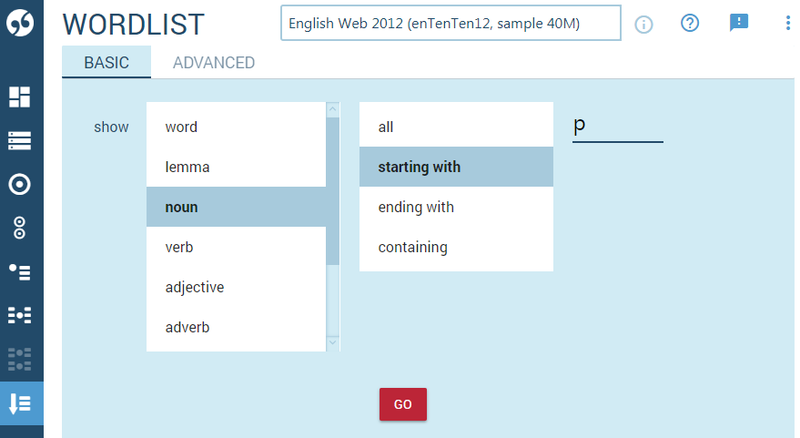 Click GO to generate the frequency word list. 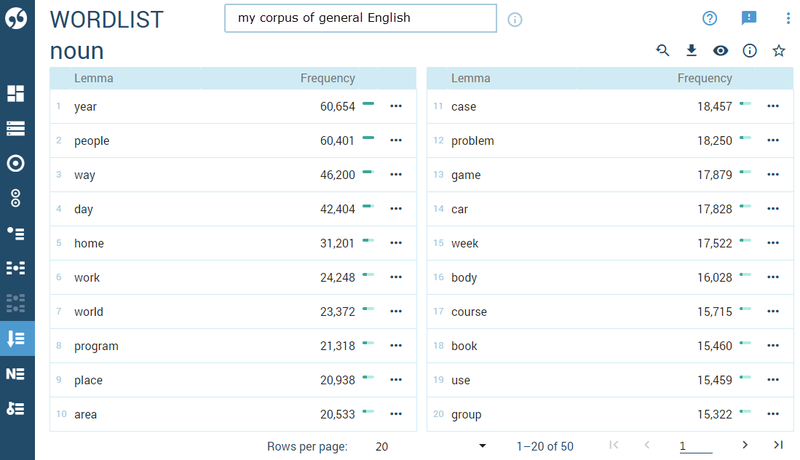 Generating a word list from a multi-billion-word corpus can take several minutes to complete.